Experience the great outdoors during your North Myrtle Beach vacation at A Place at the Beach I. This North Myrtle Beach resort is beautifully located between a salt marsh channel and the Atlantic Ocean. It is a North Myrtle Beach resort in the Cherry Grove section of town and right across the street from the white sandy beaches and Atlantic Ocean. Your North Myrtle Beach condominium at A Place at the Beach I features a private balcony with water views. Your North Myrtle Beach rental will face either the direction of the Atlantic Ocean or that of the salt marsh channel. If your condo in North Myrtle Beach, SC faces the ocean you will be able to see the water from your balcony and can even catch a dazzling sunrise. And if your North Myrtle Beach vacation rental faces the salt marsh your family can take it easy on your private balcony and watch an extraordinary sunset. This three-story North Myrtle Beach resort has stairs that lead to the top two floors. There is not an elevator at A Place at the Beach I. There are three sets of stairs at this North Myrtle Beach resort so you can always end up right near your North Myrtle Beach condominium rental. Your family will enter their two-bedroom, one-bath North Myrtle Beach rental at the eat-in kitchen. The well equipped kitchens in all of the North Myrtle Beach condo rentals at A Place at the Beach I have a dishwasher and full-size refrigerator. The dining area is right there in the kitchen so it is convenient to prepare a snack and serve it to the kids during your North Myrtle Beach vacation at A Place at the Beach I. 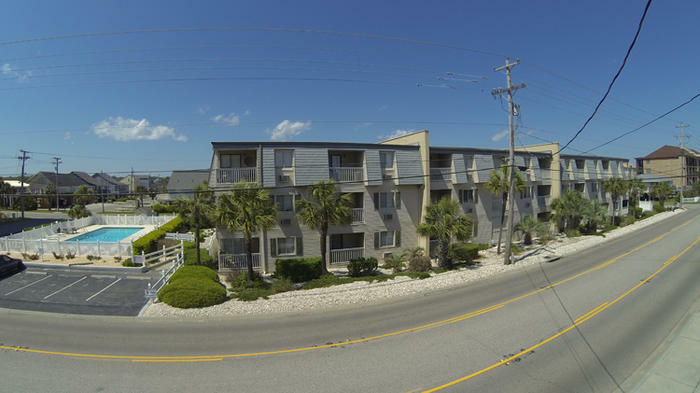 All of these North Myrtle Beach condominiums have two bedrooms and one bath. Some of these North Myrtle Beach rentals have a sleeper sofa to accommodate more people. These non-smoking condominiums are ideal for families and can sleep between five and seven people.